The goal of the Firemonkey eXplorer program is to promote the usage and growth of the Firemonkey Framework. It provides an introduction to Firemonkey using a slick modern design and a network of developers invested in it’s success. Firemonkey is a visual framework for cross platform rapid application development that is owned and developed by Embarcadero Technologies, Inc. The Firemonkey Framework currently supports Windows, Android, IOS, and OSX. If you have a website you can join the program by adding the Firemonkey eXplorer badge to your site. If you don’t have a site yet you can start one easily on WordPress.com and begin blogging sample code, demos, or other useful information you find out about Firemonkey. If your company sells components for Firemonkey you can easily add a badge to your component page to promote the greater adoption of the Firemonkey Framework. The Firemonkey eXplorer badge links to the Firemonkey eXplore website (FiremonkeyX.com) where new developers, procurement managers, and executives can learn more about Firemonkey. Links are provided on FiremonkeyX.com where new developers can download free trials of the development environments that support the Firemonkey framework. Additional links are provided where the development environments can be purchased from Embarcadero Technologies, Inc. The four IDEs which support Firemonkey are RAD Studio, Delphi, C++Builder, and AppMethod. Embarcadero has an affiliate program where they share a percentage of the sales of the Firemonkey development environments with affiliates. Embarcadero currently pays out 4-8% on any sales referred by an affiliate. The FiremonkeyX.com website is setup to use the affiliate program. 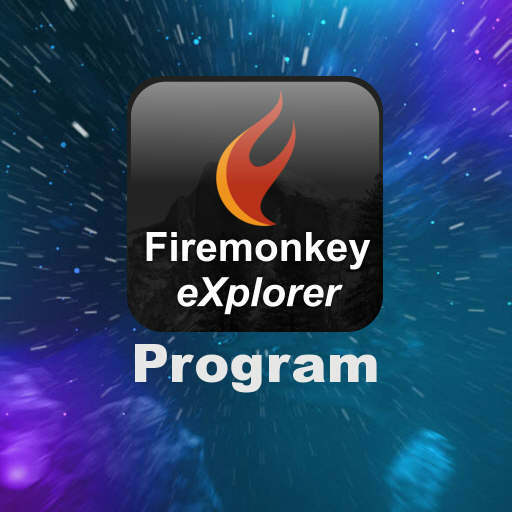 One of the goals of the Firemonkey eXplorer program is to enable Firemonkey eXplorers to include their own Embarcadero affiliate ID in their badge links and tag the links on FiremonkeyX.com with the Embarcadero affiliate ID of the eXplorer who sent the user. Here is an example Embarcadero affiliate link. The green section after the ?affiliate= is your affiliate ID. Check out the slick modern design of FiremonkeyX.com and then add a link from your own site. Find out more information about the FiremonkeyExplorer program including cut & paste badge HTML code.